Ontario Regulation 612/00 confirms the advisory role of school councils and clearly states that their purpose is to improve student achievement and enhance the accountability of the education system to parents. This regulation also clarifies the role of school councils and establishes their right to express their views on any issues that are important to them. Enhancing the family,school, and parish connection by helping in the organization and implementationof this yearly event. Organize community partnerships by providing guest speakers on topics of interest to parents / guardians throughout the school year. Organize and assist with activities commemorating the numerous accomplishments and achievements as we celebrate the 25th Anniversary milestone in our school’s history. 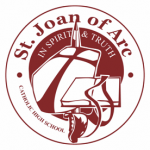 Review funding requests made by SJA staff and students and forward recommendations to the full council for approval of distribution of funds collected during the school year.